Tableau was created to make sense of every kind of data. Whether you’re looking at voter registration, logistics, Wall Street financials, or healthcare data, Tableau, potentially, has a solution for you. 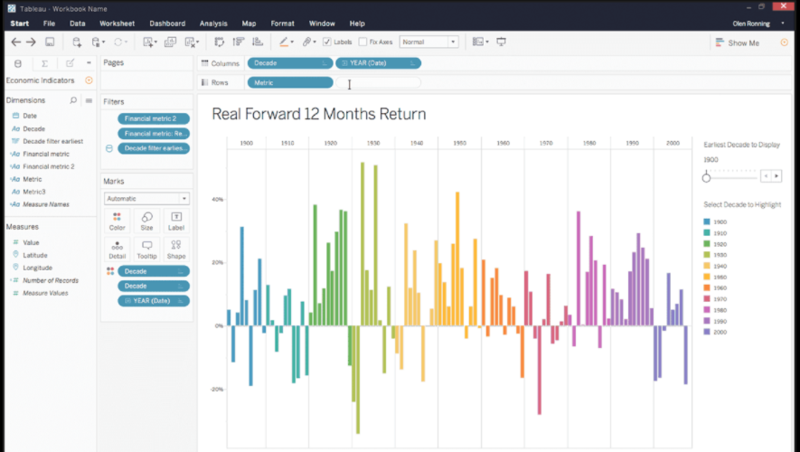 Tableau shares as a part of its missions that “it’s software for anyone and everyone.” Their driving force is to democratize data, making data analysis and visualization accessible to anyone with any interest from any industry. While created with good intentions, Tableau’s “all things data” approach is ultimately what leads to its complexity and frustration for many users. There are departments dedicated to making the system work and certification classes proving you’re a Tableau software expert. What are the key performance indicators for my industry? What are the visualizations needed for strategic insight? What additional advantages can I leverage? For healthcare strategists, Launch Pathway answers this need to generate strategic insights from market data. Launch Pathway was created with a singular focus—to elevate the strategy of healthcare market planners. 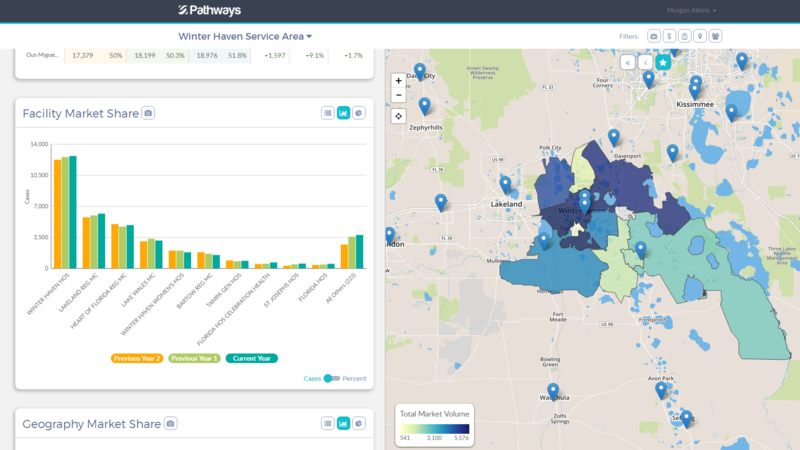 In an effort to relieve healthcare analysts, strategists, planners, and decision-makers from data overhead and delays that go along with it, Launch Pathway pairs our software and industry expertise to deliver a very targeted data visualization solution. The goal in creating Launch Pathway was to make data-based healthcare market insights accessible to anyone within a healthcare organization. This will allow all team members to be on the same page, creating organization-wide synergy that can lead to real-time decision-making based on a universal understanding of intelligence. Launch Pathway users are healthcare strategists. Because of a niche focus, Stratasan’s data process pre-seeds Launch Pathway with the right data allowing users to start with strategy instead of data loading and visualization programming. Launch Pathway creates market expertise in just a few clicks. Launch Pathway is also for users who need to facilitate strategic planning sessions and drill into data on-demand for answers. Typically, market questions like, “What is my market share in just Commercial? What about for just Cardiology in my primary service area?” lead to weeks of follow-up work. The more complex (Tableau) or unpredictable (DIY) solution, the longer follow-up work takes. Launch Pathway removes the technology barrier for users, something that is not always associated with a data visualization platform. Tableau has two primary users: those who work with Tableau and those who work on Tableau. These two users are typically at odds with each other. The person working with Tableau, usually the subject matter expert in a particular industry, wants Tableau to quickly provide the charts and visualizations needed for strategy. The person who works on Tableau has typically taken some classes and is in awe of all the things that Tableau can do but lacks the market strategy expertise. They are simply waiting for somebody to tell them what they need. This can lead to a long back and forth about what the strategist needs, what the Tableau expert knows, and what Tableau can actually do. While both Tableau and Launch Pathway are valuable tools for discovering insights from ever-growing datasets, the two products approach the problem of building data-driven market insights from different perspectives. Tableau allows users to generate completely custom visualizations against very large datasets with a price tag that matches its complexity and a need for training to use it. Launch Pathway makes some opinionated choices about how to best present healthcare market data and provides a platform to quickly understand the market KPIs and where and how to drive growth for a healthcare organization. For more information about Launch Pathway or to set up a demonstration of the tool, contact Sean Conway today. Sean will demonstrate how Launch Pathway can reduce the time you would waste data crunching and allow you to more quickly get to the valuable actionable insights you need.